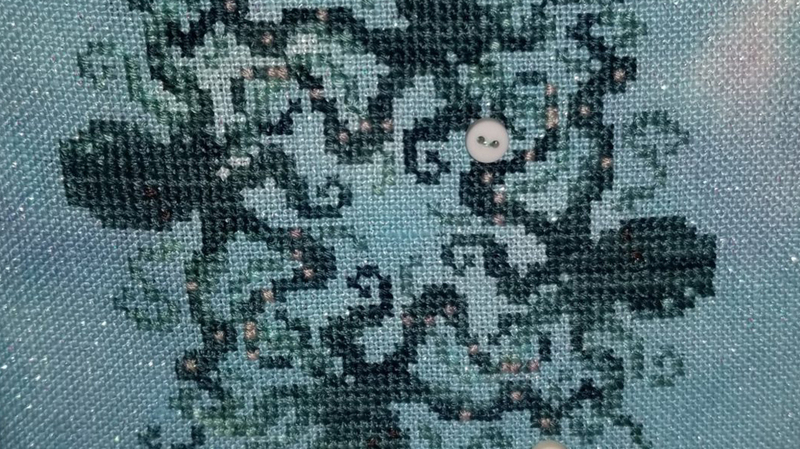 I stitched this one first – there’s three of them. 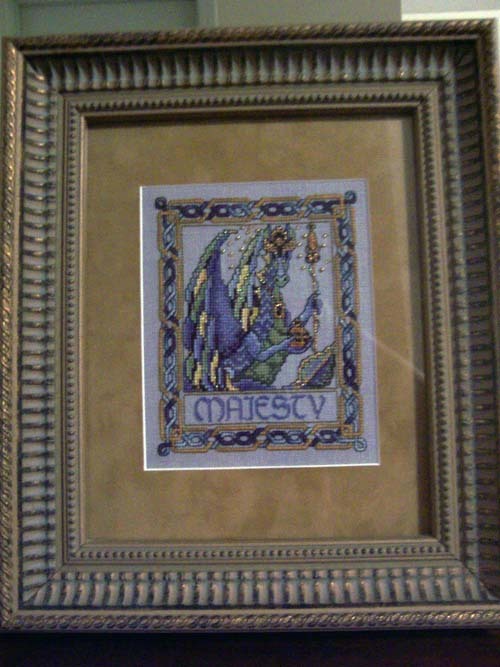 It’s been framed forever … probably can’t even get this frame anymore. 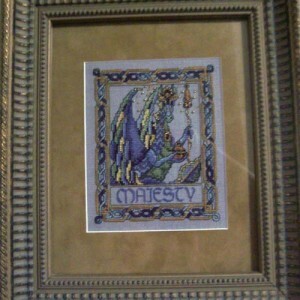 I used Needle Necessities (now ThreadWorx) in the border. 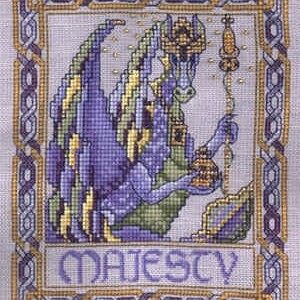 “Majesty” is stitched over 1. 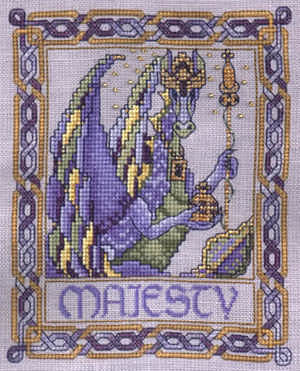 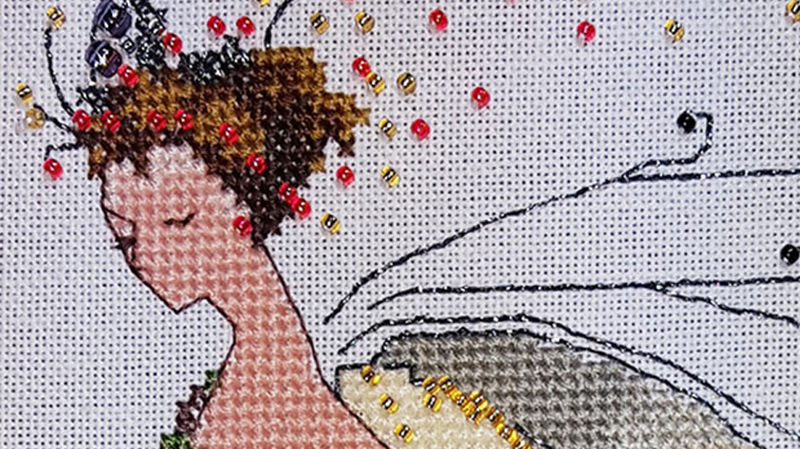 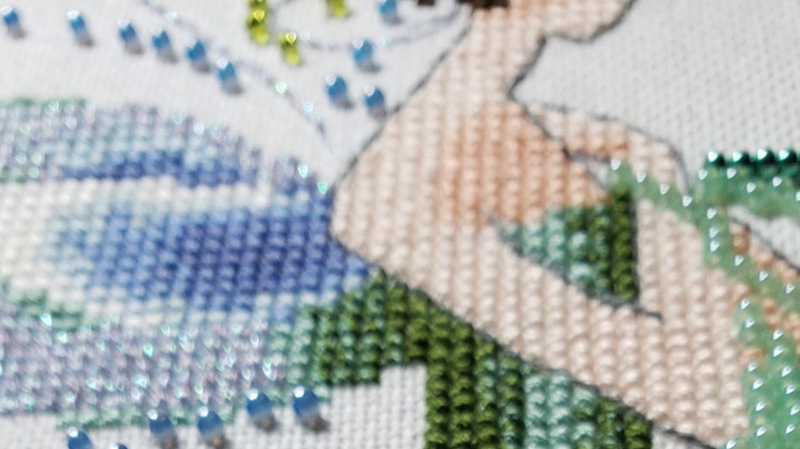 The border is done in Needle Necessities (now ThreadWorx).